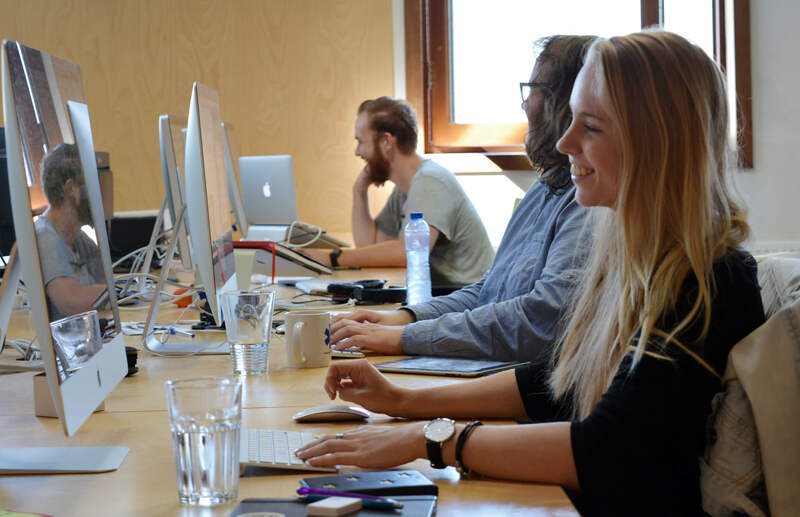 This month, two new Hogeschool Rotterdam interns have joined our digital creative Tribe. Although one has a primary focus on design aspects and the other has a preference for development facets, both of these young bloods are obviously characterised by a User Experience state of mind. In order to present our new cadets to the world, we asked each of them two questions. 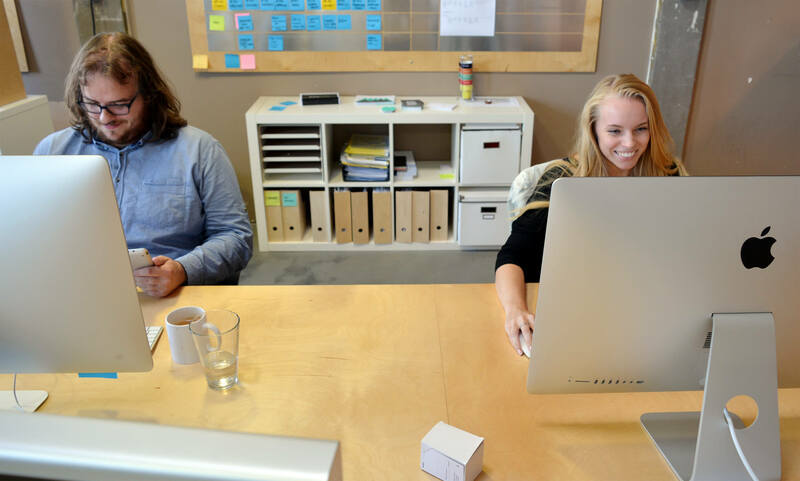 What do you want to learn here during your internship at Rodesk? To be honest, I’m not sure where to start, but one week of internship here has already taught me that there is much more for me to learn than I imagined so far. The ins and outs of a design trajectory, for instance, as applied to real corporate settings featuring real customers and the way in which they are involved in the entire process. My true passion is designing though, so I intend to learn eagerly from the design experts onboard the team. I will be paying close attention to the way they approach things and the decisions they make. The main goal is receiving tonnes of feedback, though, because that’s always been the driving force behind my professional development! What do you think you can teach the team over the next six months? As this is a guys-only team, perhaps my addition could revitalise the female perspective on the products developed around here. There’s a lot of things I’d like to learn at Rodesk actually, in a technical sense as well as from a creative and personal perspective. Technically speaking, I would like to determine whether I prefer either front end or back end development. Even though my internship is directed at front end affairs, I hope to pick up on some back end work along the way. In terms of creativity, I’m hoping to improve my eye for good design. Of course, as a UX developer you are not directly responsible for coming up with visual or interaction designs, but you do have to be able to join the team in translating their designs into functioning websites across different screen formats. On A Personal Level, I Aim To Take The First Step From Being A Student To Becoming A Professional. Cooperating with others, being able to adopt a critical stance in reviewing my own work and that of others, and being proactive in picking up tasks; those are all things I’d like to learn. Rodesk uses a broad range of different techniques and frameworks. As I’ve been working with several other frameworks, I might be able to contribute in this area. On top of this, I have a keen eye for detail, so hopefully I will come up with a few helpful suggestions for some UX-related matters. Finally, I think that both the team and I are about to discover that having three people with the same name in one team is a potential source of confusion. I think I’ll have them call me by my last name instead. I’m really looking forward to this internship. I’ve been pretty busy around here over the past few days. Although I’m still getting used to full eight-hour working days, time just seems to fly here. For now, I’m having a great time just getting familiar around here. Welcome aboard Beau and Jasper! Here’s to you learning heaps, and to us learning heaps from you in turn!